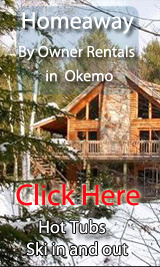 Find your own ski in and out by owner rental in Okemo-click on this link! 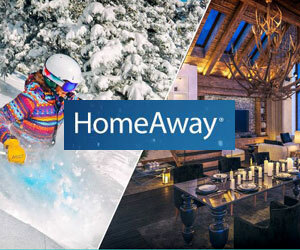 Ski in and Out Luxury - 4 bedrooms - 3 baths - sleeps 10 - from $1295/nt-- Book it! Trip Advisor #FKN3888837 -This spacious condominium is 'top of the line' for Okemo Mountain Resort. Park in the heated underground garage and board the express elevator to the top floor where you will be surrounded by the elegance of a deluxe full kitchen, 3 bedrooms, 3 bathrooms, an entertainment center with TV/DVD, a washer and dryer, a private deck, great mountain views and 2 cozy fireplaces! Two bedrooms boast king size beds, which will provide all the comfort of a 5-star resort. The third bedroom features two queen size beds and additional sleeping space is afforded by a queen sofa bed. 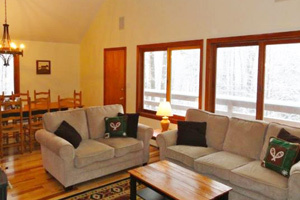 Walk to Ski Trail on Okemo - 4 bedrooms - 2 baths - sleeps 10 - from $200/nt -- Book it! Trip Advisor #FKN2282859 -The Okemo House, fully renovated in 2012, is the consummate Vermont ski chalet, located just steps from the base lodge of Okemo Mountain in Ludlow, Vermont. With beds to sleep 10, this home is on a private wooded lot with views of the Okemo ski resort and is a spacious 2,000 square foot home with 4 bedrooms, 2 full bathrooms and two large family rooms. With an open-concept living room, dining room and kitchen, the home has two wood stoves, cable and wireless internet, and a large hot tub on a beautiful private rear deck. 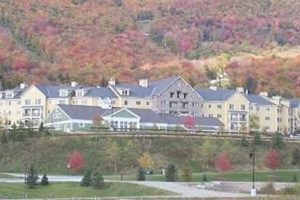 Ski-in/out condo at Okemo w/ a fireplace and beautiful views! 3 bedrooms - 2 baths - sleeps 10 - from $280/nt -- Book it! VRBO 982272 -Enjoy ski-in/out access to Okemo Mountain Resort's world-class slopes from this three-bedroom, two-bathroom Ludlow vacation condo for up to 10 guests. It's perfect for large groups and offers all the home essentials to keep everyone comfortable. This rental is close to two beginner slopes. Begin your day on Ledge Wood Trail slope, a very short walk through the complex, and end the day back at your rental via Snowtrack. You won't find much better access to Okemo's 121 ski trails, but if you'd like to explore beyond the mountain, it's a quick drive into Ludlow's charming downtown area for specialty shops and eclectic restaurants. The open floor plan home features comfortable furnishings in spacious rooms. Gather for a group movie in the living area with a large cable- and Blu-ray/DVD-equipped television, and, if it's chilly outside, throw a few logs in the fireplace. Walk to Okemo Ski Lifts - 5 bedrooms - 2 baths - sleeps 10 - from $200/nt -Book it! Trip Advisor #FKN4805627 -Location is everything: We are across the street from the new South Face Village Ski Lift being installed Summer 2015! The Trailside Road Chalet is a beautiful ski chalet with a pool table, 5 bedrooms, 2 bathrooms and plenty of space to spread out! Completely renovated in the Summer of 2014, the Trailside Road Chalet is a beautiful, spacious year round mountain retreat. 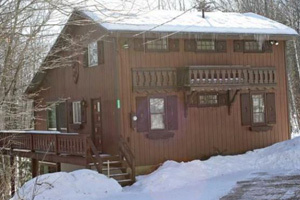 The Chalet is located on a private wooded lot overlooking a babbling brook on Okemo Mountain. This home is convenient to skiing and activities at Okemo Mountain Resort -- We are across the street from the new South Face Village Ski Lift and 1.5 miles to the Okemo base lodge and the picturesque town of Ludlow with many quaint restaurants and shops. The chalet is surrounded by an acre of woods across yet a short walk to the South Face Chairlift to be installed in summer 2015! 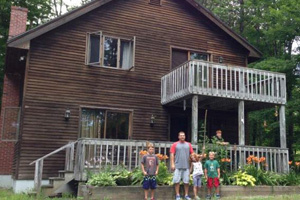 Charming Ski Chalet - 3 bedrooms - 2 baths - sleeps 13 - from $275/nt- Book it! Trip Advisor #FKN2377398 -Ridgeline Three Bedroom Suites feature separate living and bedrooms with an outdoor terrace, expansive mountain views, two bedrooms with king-sized beds with luxurious bamboo linens, a third bedroom with two queen-sized beds and a queen-sized sleeper sofa located in the living room. 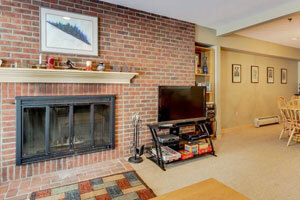 Additional amenities include: fireplace, wood/gas gas, tennis courts community, micro/dishwash/disp. yes/yes/?, view yes, beds pull-out sleeper sofa, furnished yes, bathrooms 3, TVs/VCR/DVD yes/no/yes, washer/dryer yes/yes, bed size 3rd rm 2 queens, bed size 2nd rm king, iron/ironing board yes/yes, distance to mountain slopeside, distance to village 7 miles, bed size 1st/master king. 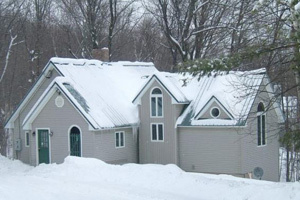 Walk to Ski Trails - 5 bedrooms - 3 baths - sleeps 14 - from $295/nt- Book it! Trip Advisor #FKN4491255 -This Okemo Mountain home is the perfect Vermont getaway within walking distance of the slopes. Our home features a completely renovated main level including a new kitchen with cherry cabinets, granite counters, and stainless steel appliances. The main bathroom has been remodeled with a marble floor, shower, and vanity. The living and dining area feature warm hickory flooring and new furnishings. Book now to enjoy this brand new luxury kitchen/living area!Our home is nestled in the woods on Okemo next to an open field and features 5 bedrooms, 3 full bathrooms, a loft and two living rooms each with fireplace and cable TV/DVD. With all this space, this setup is perfect for a single family, multiple families, or a group. The house is ideal for up to three families. Each of three sets of parents can occupy their own bedroom and up to ten children can occupy two bedrooms and the loft. Parents can socialize in one living room and the children in the second living room. Okemo, Vermont By Owner Rentals- Our Blog!